3-26. My career record against Grand Valley State University is 3-26. So I know pretty well how easy it is to lose to GVSU. And I also know just how hard it is to beat them. That’s why I am so impressed with what Towson was able to accomplish last Sunday. To beat GV is no small feat. To beat a previously undefeated GV in the National Championship on their home court is almost unfathomable. Towson was able to take home the championship trophy with an outstanding gameplan, incredible execution, and a little bit of luck. If a player receives a Yellow Card while not currently a Live Player, a Live Player must be removed from the court and enter the Jail. The player removed is at the choosing of the team of the offending player. The player receiving the Yellow Card is ineligible to reenter the point at any point, regardless of the number of catches. The Live Player removed from the court is eligible to return to the court if the necessary amount of catches occur. If a player receives a Red Card while not currently a Live Player, a Live Player must be removed from the court and enter the Jail. The player removed is at the choosing of the team of the offending player. The player receiving the Red Card is ineligible to reenter the game at any point, and their team must play at a man disadvantage the rest of the game. The Live Player removed from the court is eligible to return to the court if the necessary amount of catches occur. If the offending player was not a Live Player at any point during the current point, the Live Player removed from the court would be ineligible to return to the court until a new point begins, in which the offending team would continue to play at a man disadvantage. Rationale: Currently, if a player receives a Yellow Card while already eliminated, the only penalty the team suffers is that player is ineligible to return to the point. As most players receive yellow cards in this situation, there really is no penalty to the team in practice. This change would ensure that acts warranting Yellow Cards would indeed be penalties to the offending team, no matter if the offending player is currently a Live Player or not. About a year ago Jacob Leski asked me the following question: “If we had an inductee class for the Hall of Fame for the NCDA, who would be your 6?” I thought about it for a second, and then said I don’t know because I only really have a good judge of the people from my era. I then moved on and didn’t think about the question for a while. But it came up again by Kevin Bailey in his write-up for the 2017 All-Americans list, referencing both myself and MSU Dodgeball founder Aleks Bomis as potential first ballot nominees. So once again I thought back to Leski’s question, but then time passed and I didn’t think about it for a while. With the announcement of the newest inductees to the National Baseball Hall of Fame back in January, the thought of an NCDA Hall returned once more. So as another semester has passed and Nationals 2018 is fastly approaching, I thought I’d finally answer Leski’s question: Who do I think has earned a spot in the hypothetical NCDA Hall of Fame inaugural class. Although the NCDA is still a little over a month away from its first games of the season, the biggest dodgeball tournament of the year for us NCDA alums still itching to play begins a week from today: Elite Dodgeball National Championships 2017. The NCDA’s participation in Elite has grown consistently over the past few years, with this season having more schools and players represented than ever before. As we are just seven days away from Elite Nationals, I thought it would be the perfect time to check up on how the NCDA has performed this season in the Elite North Region. Although the East Region has begun to see some NCDA participation this season (shout out to Klutch Mode), nearly all of the current and former NCDA players that play Elite are in the North Region. The North is currently the only region that offers a pinch tournament in addition to the standard open 8.5 tournament outside of Elite Nationals, and thus it especially draws the attention of NCDA players. (Hey East Coast players, the more of you to start playing Elite the sooner the East Region will be forced to have a pinch tournament.) Not only have NCDA alumni and players continued their success this season in the North, but this season also saw the formation of several new NCDA-based Elite teams. Nearly every North team now has at least one NCDA player on the team and over half of the teams that competed this season are entirely or nearly entirely composed of NCDA players. Due to this surge, I thought I would interview most of these NCDA-based teams to get their perspective on the Elite season. I first asked them to list all the NCDA players, including alumni, on their team. I then asked each captain the following four questions. How would you rate your overall success in Elite? Do you think it’s improved your and your teammates overall dodgeball ability? What can you take from the Elite season and bring into the NCDA season (for those that are still playing, or for when you were still playing)? Who would be your MVP from your team for the Elite season and why? What was your favorite moment from the Elite season? What do you like more about Elite vs the NCDA and/or what do you like about Elite in general? As my numerous rule and policy proposals illustrate, I often have opinions on what I think is best for the NCDA. These opinions are rooted in what I believe to be the best for the health and growth of the league as a whole. It is for this reason that present to you all now my opinion on where Nationals 2018 should be held. This post is taken from the content discussed on the Live Nationals Preview Show. I suggest you watch the show if you haven’t already. Or don’t. My feelings won’t be hurt. Here are the Sunday brackets based on Kevin Bailey’s, Colin O’Brien’s, and Jacob Leski’s predictions for the Saturday slate of games at Nationals 2017, along with the “chalk” bracket based on every higher ranked Gonzalez team winning based on their current ranking. 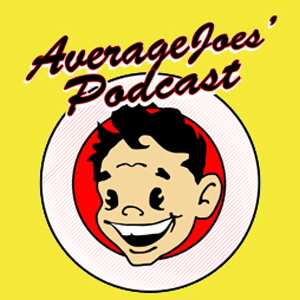 Analysis of each game for both days was discussed on the show. As everyone knows each team this season is represented by two players for the All-Star Game presented by SAVAGE Apparel Co. (or maybe you don’t but in the words of the famous urban philosopher The Notorious B.I.G., “if you don’t know, now you know”). Now it may be true for many teams, but I think it’s especially true for the four Michigan schools that more than just two players per team are deserving of the status of all-star. So I decided to make a full team of the players from the Great Lakes State that I deem to be all-stars in addition to the eight players recognized by their respective schools. 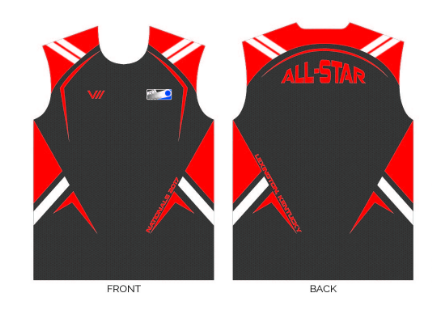 The jerseys of the team that will be winning the All-Star Game presented by SAVAGE Apparel Co. In order for a member team to be eligible to vote on league matters (proposed rule changes, policy changes, or Executive Board elections), the member team must pay league dues. Reasoning: New member teams are currently given two years before they have to start paying league dues. New member teams lack the experience relative to other league teams needed to best judge rule, policy, or executive board candidacy. Following their first two years in the league, the new member team would gain such experience. Also, if a new member team would especially wish to vote, the option remains for the new member team to begin to pay dues early to gain voting rights. Do you play in the National Collegiate Dodgeball Association? Then you should read the 2017 NCDA Rulebook. 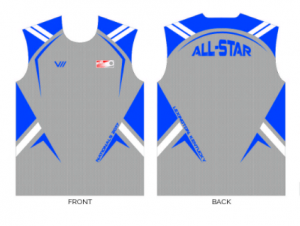 Are you a captain of a member team of the National Collegiate Dodgeball Association? Then you definitely must read the 2017 NCDA Rulebook. 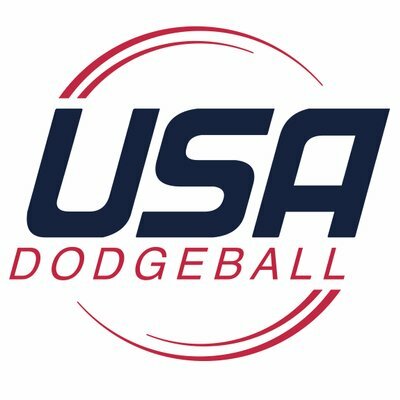 Have you in the past or will you in the future officiate an official match between two member teams of the National Collegiate Dodgeball Association? Then why on Earth have you not already read the 2017 NCDA Rulebook? And, if after reading the 2017 NCDA Rulebook you find yourself in the reading mood, then why don’t you go ahead and read the NCDA Constitution as well. Knowledge is power and it can never hurt to get informed. Well the best non-Nationals tournament of the year took place last Sunday. 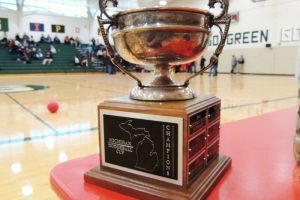 Although the Michigan Dodgeball Cup may have lacked some drama regarding which team would lift the cup, it was not short on some dramatic moments on the day. With the 2017 MDC in the books, there remains only one thing to do: start looking ahead to the 2018 MDC! The Michigan Dodgeball Cup takes place this Sunday in East Lansing, MI. The MDC is often regarded as one of the most premier tournaments of the year (the most premier tournament in the minds of any player from the mitten). With a slate of previews coming in preparation of Sunday, the first delves into the Michigan match-ups that have taken place already in the 2016-17 season (Spoiler Alert: there were some overtimes). We already heard from the NCDA Chief of Content on his overreaction from the BEAST VI this weekend. But a couple of days have passed and it’s time for a more reserved, balanced reaction to the wild and entertaining day of dodgeball that took place in Harrisonburg this past Saturday. A reminder once again of this weekend’s results. There are 75 days until Nationals. More importantly, there are 68 days until the week before Nationals. Many of you (not all) know the week before Nationals as the only time throughout the year you actively care about the rule book. The week before Nationals has a long and storied history as the week people freak out and suggest a bunch of new rules. It would be great if rule proposals could be brought up and discussed before this infamous week. So if you have an idea for a new rule or rule change, please begin to bring it up and we can discuss it prior to the week before Nationals. That is all. Criteria: Rulebook stuff is a rule proposal. Policy stuff is everything else. The Exec Board will sort it out. Additionally, there are no limits to the amount of proposals that can be submitted per team. 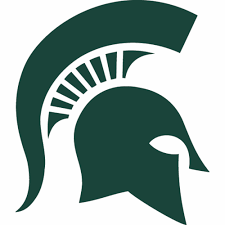 The two top ranked teams in the NCDA square off in East Lansing this Saturday for a doubleheader showdown. 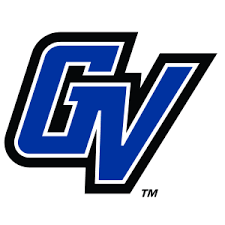 Currently, GVSU leads the season series 2-1 (we don’t need to talk about the all-time series lead, just go read Kevin Bailey’s most recent article if you want to witness the bloodbath). This will likely be the only time any Michigan schools face off this semester before the Michigan Dodgeball Cup, so a strong performance Saturday for either team could make them a strong favorite to take home the cup on February 19th. Here’s a preview of the two teams and some predictions for who will come out victorious.